Keep your trees. Create views by pruning rather than clearing. 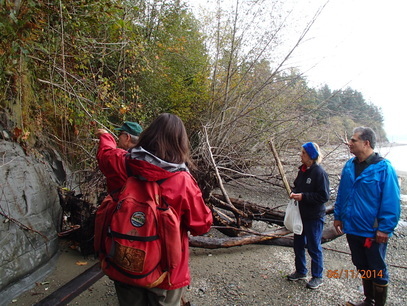 A forested shoreline will help with stormwater management, stabilize slopes, and contribute to the health of Puget Sound. 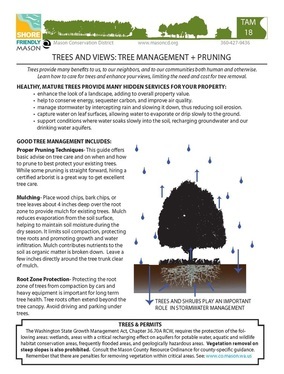 Keep as many trees and shrubs on your property as possible because they are serving an important purpose. Contact a professional arborist to help you develop a tree pruning strategy that works for your views and for your property. Be sure to follow regulations including the protection of critical areas such as steep slopes and shorelines. Retain and add shoreline plants as your first line of defense against erosion and landslides. Roots and leaves help to absorb impact from rainfall and waves. Retain your shoreline vegetation to stabilize slopes, help manage runoff, and protect wildlife habitat. Wherever feasible, add native plants that provide cheap, effective, natural shoreline stabilization. Manage your upland so it doesn't contribute to erosion issues. Clearing vegetation and creating large waterfront lawns can sometimes create unintended problems. Careful water management is one of the most important things you can do on the shoreline. Thoughtfully manage water and drainage on your property. Seek professional help to design an appropriate drainage system when one is needed. In the best case scenario, leave your site as natural as possible and limit your contribution of drainage runoff. Check for & repair leaks every rainy season! Seek expert guidance prior to locating your home. Exceed the minimum setback for construction established by the County. Even if you qualify for a reduced setback from the shore, opt for the full setback or more. Expect erosion and plan for it. During construction, identify and protect plants that are providing slope stabilization and controlling runoff. Understand permit requirements and regulations before starting your project. 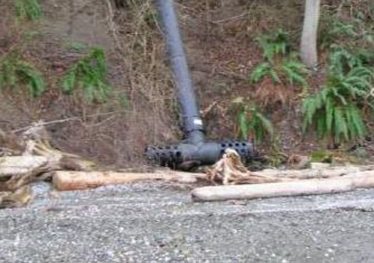 If you fear that your home or property is at risk due to bluff or slope instability, serious drainage problems, or a recent landslide - contact a licensed coastal engineer or geologist immediately to address these issues. To explore armor removal or soft shore stabilization options, contact coastal engineering or coastal consulting firms, regional fisheries groups such as SPSSEG and HCSEG, landscape architecture firms that specialize in shoreline work, or Mason Conservation District. Be certain to request references and to select consultants with specific experience working on marine shorelines. (Inclusion on these lists should not be construed as an endorsement).